Welcome back to my four-part series of articles on How Successful Musicians Practice. If you’re just joining us now, this is the third installment, so if songwriting and composition aren’t ultimately your areas of interest, feel free to peruse the practice regimes of either these seriously successful percussionists or these 4, 5 and 6-string samurai! To briefly recap the conversation so far, I see there being four kinds of practice goals a musician works towards over the course of their career: practicing to learn an instrument and gain technical facility; practicing to learn a repertoire and harmonic, melodic, or rhythmic concepts; practicing to be a professional, i.e. “gig chops”; and practicing to maintain proficiency. The first is a prerequisite to playing music, but it’s often where musicians stop; and that’s one thing that can separate the successful musicians from amateurs. That said, there are many paths an artist can take to reach their practice goals, and that’s why I’m interviewing some of my favorite, internationally touring musicians to find out about their routines, rituals, and what their personal practice philosophies (PPPs) are. I hope these interviews can serve as a reference and a source of inspiration for aspiring and career musicians. With that, let’s meet some of the songwriters, composers, and arrangers who have had a huge influence on my own music making, and learn a bit more about how successful musicians practice! Miguel works with Flying Lotus, Seu Jorge, Common, Thundercat, Lianne La Havas and has been featured on the soundtrack to Dexter. I like to start every day off with a short jog and a 30-min chanting/meditation/prayer session. I don’t have any major obstacles when it comes to practicing. I don’t believe in obstacles. I just want to celebrate the realities of my life the best I can. When I practice, I don’t try to force anything, I just work with whatever mood my body/psyche is feeling that particular day. When I am motivated and want to elevate where I’m at, I do everything I can to do so. Sometimes that means doing nothing and just resting, other times that means, exercising, practicing, watching TV, drawing, cooking, you name it. One major aspect to practicing that has helped me was when I realized that it is all one. Meaning, the summation of who I am as a human being is what my art will largely equate to. Envisioning all of the moments of my life as being an integral part to what makes up my artistry has helped me fuel all of my life moments into aiding my art. So sometimes, I have found it more important to go out in nature and go hiking than to spend time directly with my violin or viola. My point is that the more I have tried to become a well-rounded, loving, humble, happy, healthy human being, the more I have been able to maximize every aspect of my music making and my artistry all together. My biggest breakthrough is learning how important it is to work smarter and not necessarily harder. I just try making it a fun thing, never working against myself, forcing myself, or anything like that. Keeping it fun and really trying to love myself and have everything come from love. I don’t need to fit this particular routine in, or be more like this person or that person, or develop myself in a way where I think I have to please any particular person other than my highest self. (Laughs) I should probably have one! Maybe I do and don’t know it! I’m just into celebrating every day and having short and long-term goals. Connecting the macro with the micro. Bridging the gap between the huge, idealistic dreams I have with where I find myself today. Overall, I want to hold myself lovingly accountable for what is deepest in my heart and soul. I will say that thinking in terms of cause and effect has greatly helped me. So, if I have dreams a, b, and c, then I think about what are some causes that I can pursue that will bring about those effects that I want manifested. It works very well for me, and overall, I have to say that wanting to be of service to humanity with my art has been one of the biggest motivators and important perspectives for me. I think one extremely important point of being a human being in society is to take your individual passion and make it something that can be of service to humanity. So, when I think about how can I make my playing or any of my compositions or arrangements exist, I think in terms of what can I do in the prepping stage that will put me in the best position to hopefully be of service, and all in a way that is fun for everyone. + Learn more on Soundfly: Learn to write for a string quartet with our popular Mainstage course, Orchestration for Strings, and receive personal feedback and live workshops with composers and orchestration experts! Use code: FLYPAPERSENTME for 20% off. 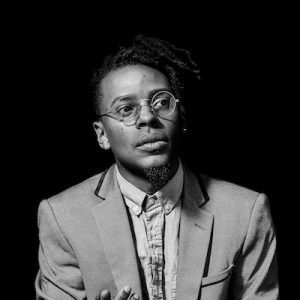 Jon performs every week as part of the live improvised hip hop band Gentei Kaijo, tours with the electronic group Sonnymoon, and is an internationally touring musician and clinician. Depending on the workload, I try to practice every day of the week. During the summer and fall months I average about 5-6 days of the week. Winter & spring it’s about 3-4 days of the week. I’m fortunate to be a singer, so I can practice at home, or on the street, literally while I’m riding my bike (great way to develop healthy breathing habits! ), and sometimes in rented rehearsal spaces. My main practice right now is healthy breathing, no straining when I sing louder and higher, rediscovering/refining my mix voice (placement between chest and head voice), no riffing, straight tone singing — no vibrato, and scales/interval jumps. I usually drink tons of water before and during practice time. Also, I choose songs to sing along with that focus on the technique at hand. For instance “Love You, Live You” by Chaka Khan is a great song to practice mixed voice singing and straight tone (until the bridge where she’s very much out of my range!). My biggest challenges to maintaining a regular practice schedule are my gigs and my daily errands. Sometimes the band’s rehearsal, or my personal rehearsing at home for the gig, is the practice. I’ve yet to “overcome” because I don’t mind it so much right now. I think it’s a challenge when I have to learn or perform music I don’t like. Otherwise, it’s more like a learning opportunity to consistently work on new material. My most recent breakthrough in the practice room was learning how to use air on words beginning with “wh” as a way to propel notes forward without straining! I use this technique with my private vocal students now. I can’t lie, I don’t have one. I practice to learn the music. I practice to know my voice on a particular song, set, or tour. But I also practice to ensure I’m growing and maintaining healthy singing. Grant has performed with Esperanza Spaulding, Eddie Gomez, Valerie Simpson. I tend to practice around 2 hours, 3-4 days a week. Sometimes I don’t have that much time at once, so I’ll try to get an extra, shorter session in on another day that week. I usually practice at home in my piano room, but I just moved, so now I practice at the school where I teach. Sometimes I feel drawn to practicing one of these things over the others, and maybe for longer, so all the categories blur together, but I like the structure and clarity of having different concepts laid out like this. Before I start practicing, coffee and water are a must. My biggest obstacle when it comes to practice is the boredom of being there and not feeling like shedding. Sometimes you get there and feel tired or something, but really it’s your mind trying to stop you from practicing. The way I get around it is to find new, inspiring music to listen to, or new exciting projects to work on. Sometimes also just watching some musicians killing it doing their thing motivates me. It’s like when you watch an NBA game and you want to go play basketball after seeing some crazy play in the game. When I get in the practice room inspired about a certain thing, I can get into my routine and have some fire in me, too. I actually really love the act of writing things down as I practice. Either before, after, or during, I’ll make notes in my music journal. It can be anything: writing out chords, transcribing a solo or a tune, or working on new tune ideas. I just use a regular, lined notebook — maybe manuscript paper would be better — but I like seeing that there is a physical written record of my practicing. I think practice is like collecting sounds. Also, when you begin to drift away from what you set out to work on, I think it’s important to come back in focus by shifting to a different topic. I always found this video to be very helpful. + Read more on Flypaper: Is there such thing as a “happy blue note”? Find out as we go deep into the fundamentals of playing blue! Alex performs with Paquito D’Rivera, Victor Provost, Wynton Marsalis, the Lincoln Center Jazz Orchestra, and Miguel Zenon. I don’t have a regular practice schedule. It really just depends — I’m pretty bad at sticking to a regular schedule. Lately, I’ll do about 1-3 hours daily, but not every day. In New York, I have a studio/rehearsal space where I keep my piano, so I practice there. I just started a Master’s degree in Composition at the University of Miami, so when I’m in Florida, I practice at school. In general, I have limited time to practice, so I’m often focusing on music that I have to learn for upcoming performances. When I have extra time, I tend to work on technique and classical music. Sometimes I work on jazz standards. I don’t have any rituals before I practice, I just like to get to it. My biggest barrier to practice is honestly laziness and feeling overwhelmed. The hardest thing is just starting. Sometimes it’s overwhelming when I think of all of the different things I feel that I need to or could work on. Sometimes, when I have to play music in a very challenging meter, I work on different rhythmic independence exercises to help internalize the meter. A big breakthrough for me was realizing it helped me to practice these complex exercises on drums instead of the piano. It always feels good when suddenly you feel comfortable and in control playing on a complicated meter that was totally incomprehensible at the beginning. I do think mental practice is just as good or almost as good (in some ways better) than physical practice. I tend to “practice” mentally a lot of the time because in an average day I’m almost constantly thinking about or listening to music. What you don’t get with that method is the physical, technical practice of actually touching your instrument, which is always very important.